Lemme tell ya something, Mean Gene! 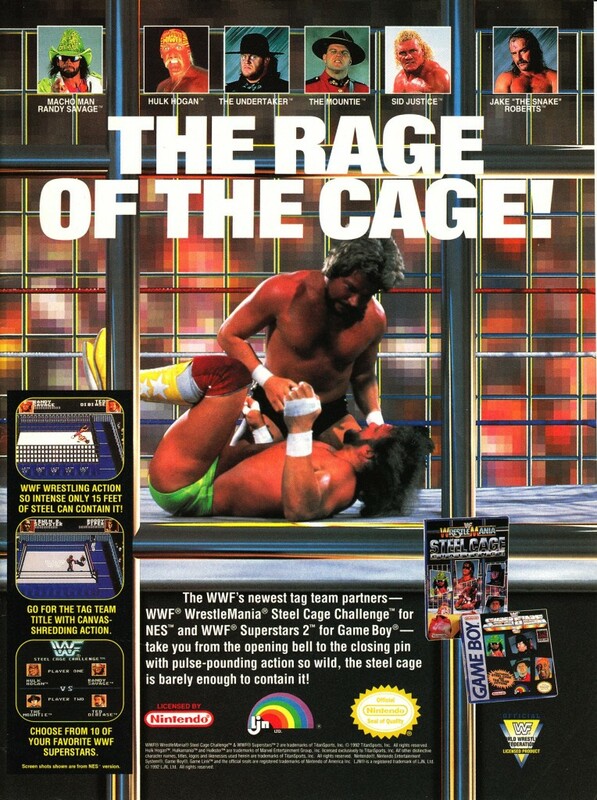 WWF WrestleMania Steel Cage Challenge was the third and final WWF game published by Acclaim for the NES, but the first and only one to be released on the Master System. It was the first home console wrestling game to feature steel cage matches. The wrestlers featured in the game differ based on the system – Hulk Hogan, Randy Savage, I.R.S., Ted DiBiase, Bret Hart and the Undertaker are in both versions, while Roddy Piper, Jake “The Snake” Roberts, The Mountie and Sid Justice are NES exclusive and Ric Flair, Tatanka, Papa Shango and Shawn Michaels are Master System exclusive.